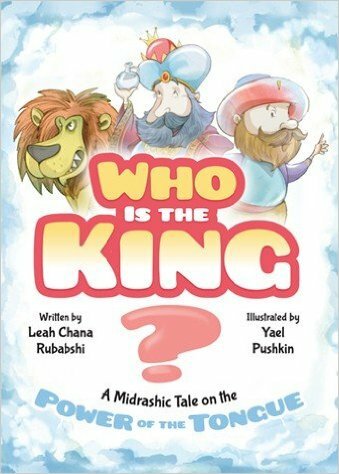 Your most recent book, Who Is the King? (Feldheim 2016) is based on a Midrash, which is based on a verse in Proverbs: "Death and Life are in the power of the tongue" (18:21). How did you choose this story? I wanted to write about the importance of Shmirat HaLashon (literally "guarding the tongue"), and I wanted to write about the subject in a way in which kids could connect. In the story, the King of Persia is sick, and the only cure is lion's milk. A brave soul brings back the milk, but then he misspeaks and ends up in jail. Fortunately, he is able to correct the situation, and all ends happily -- the evident moral that we have to be very careful what we say. 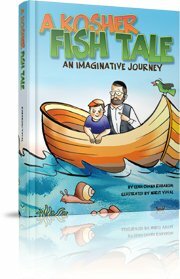 One of the things I enjoy about writing for the Orthodox children's market is that it gives me an opportunity to tell a Jewish story or teach about Jewish values in a way that is enjoyable and fun. 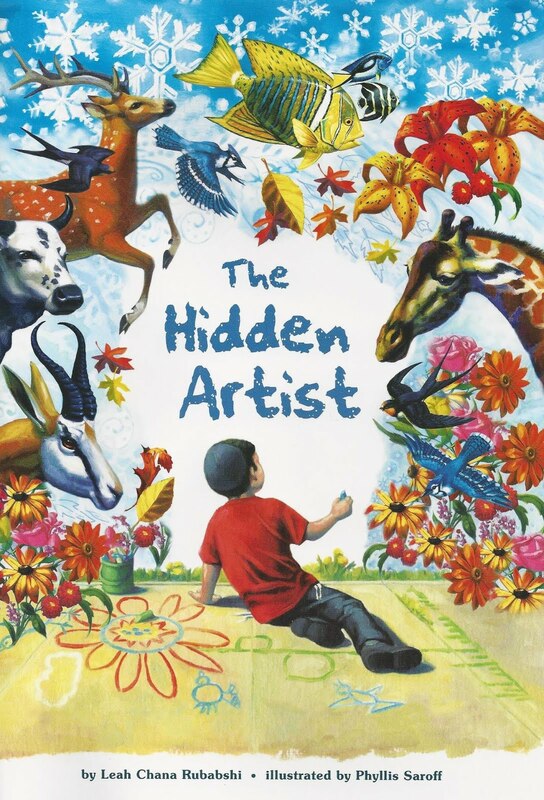 The Hidden Artist (Hachai, 2014) captures a child's sense of curiosity and wonder about the world around him. Through the text and the beautiful illustrations (by Phyllis Saroff), the boy realizes that Hashem (God) is "behind it all." 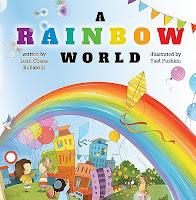 A Rainbow World (Feldheim, 2014) starts with black and white illustrations and as the story progresses, the pages become more colorful. 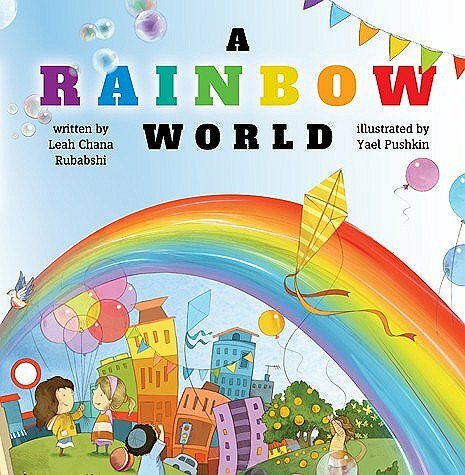 While the book is about color, the main theme is appreciation of the vibrant world that God created. A Kosher Fish Tale (Menucha, 2014) started as a song with a repeating refrain, and is a great way to learn about which fish are kosher. Your books are in rhyme, and they are really good rhymes in terms of meter and the ease of flow. What is your process? First of all, I am a perfectionist in terms of meter and rhyme. If editors want to change things, I ask them to let me revise it so the verses keep their meter and flow. In terms of writing, I start with an idea, and I try to see it through to its ending. At this point in the process, the title also comes into play. After that, I "do my work" in terms of developing the arc of the story and constructing the verse. Who Is the King? was much easier to write than my previous books because the Midrash was already there, and it's a great story. I've always been drawn to poems and songs as a way to teach children. The rhymes and the repetition makes it easier to children to remember the story and the lesson. I'm working on a book about feelings. I was deeply affected by the Har Nof Massacre [an attack on a Jerusalem synagogue in November 2014 where 5 worshipers and a policeman were brutally killed by ax-wielding terrorists], and it struck me that as hard as it was for me for process this event, it must have been much harder for children, so I wanted to create something to help children deal with trauma. This is not the focus of the book: it is going to be about all kinds of feelings, so while it does talk about being sad, it is also about being happy. Thank you Leah Chana. 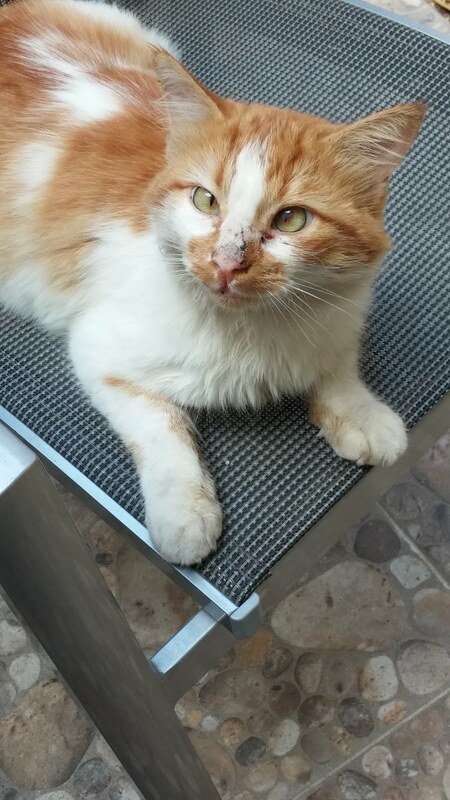 Maybe you could write about the latest "Real Cat of Israel:" originally this fluffy, friendly cat was named "Creamsicle," but after seeing him fight with the other toms, he is now known as "Rocco."